today i got an unexpected surprise package in the mail from a maternity website. austin is the one who got it from our porch & he was a little weary when he found it... thinking that i had ordered a package worth of clothes without telling him, but i was just as surprised as he was. but, it was addressed to me so i obviously opened it & to my great surprise it was full of maternity dresses & a skirt! i called my mom to ask if she sent me the clothes & to say thank you thank you thank you! she told me that she had read my blog post about how difficult it has been for me lately to get dressed on sundays, & she thought she'd send me a surprise. she's pretty great. 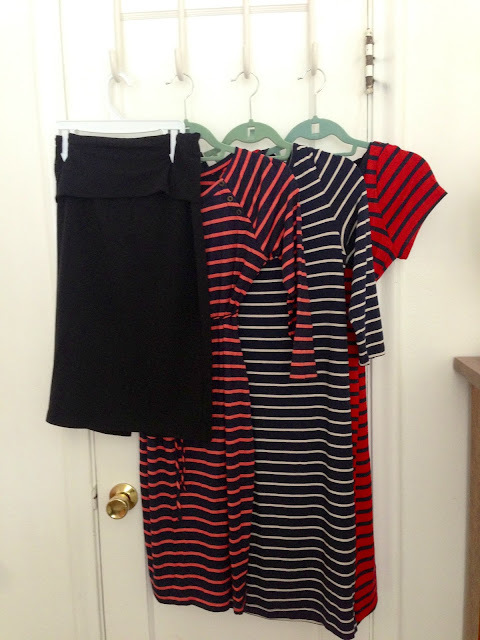 i am so happy with the new dresses, they all fit wonderfully & i love them. 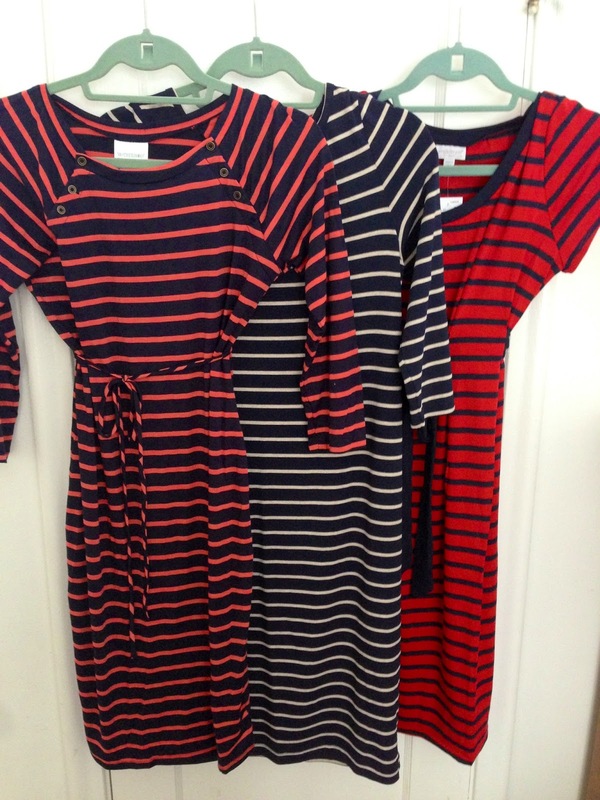 my mom really knows what i like: stripes (i swear, more than half my closet is stripes). can't wait to show how they look on! Aww awesome! Jo is great. what a cute mom! you can never go wrong with stripes. aw that's so sweet!! and they're sooo cute.